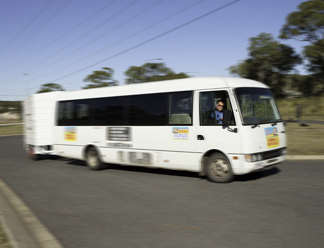 Do you have a group of people you want to move and need a reliable and friendly charter service around the Capricorn Coast, Rockhampton and Central Queensland? Little Johnny is renowned for getting you there ‘on time’ and his personal, reliable and ‘always with a smile’ service can’t be beaten. Whatever your need we can customize your charter. Great Service is important to us. We aim to provide flexible charters to cover the needs of various sized groups. Our service allows people to enjoy their outing, maybe have a few drinks and not have to rely on taxi availability. We offer a range of packages from single pick-up and delivery service to the full door-to-door package. © 2017 Little Johnny's Rentals. All Rights Reserved.